With his new form, Lucky now controls the powerful Orion Battler! And along the way to this new Mecha, we meet a villain named "Cow-Type Military Weapon #0"- an evil prototype version of Champ! What's with the Luchador mask on Champ, though? 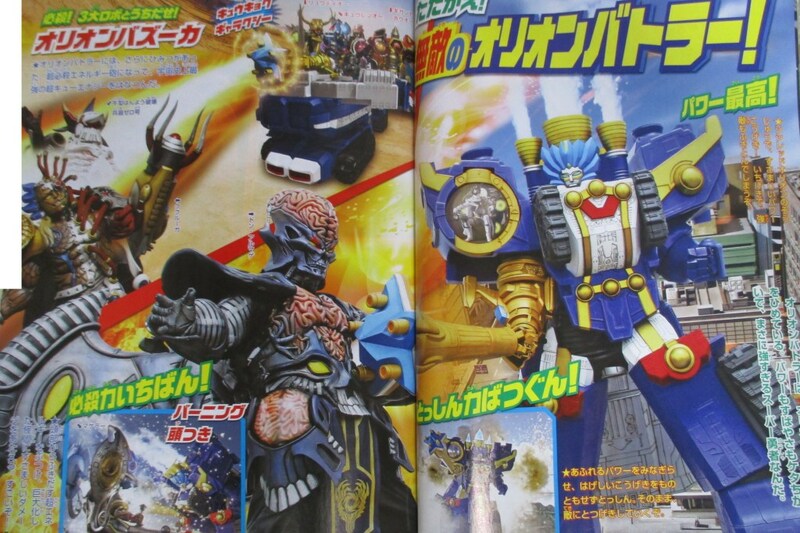 Is each kyuranger getting his own alternate form, after all? Oh, that's right, they're getting a new robot, I was wondering where the "The Orion won't fly anymore"-thing was headed. Meh, don't care. More Champ though? With an evil version of himself? Yes, please. So the Orion Voyager is just the club and the Orion Battler is everything else? The evil Champ prototype looks preetty cool. And I dig Champ's lucha mask. 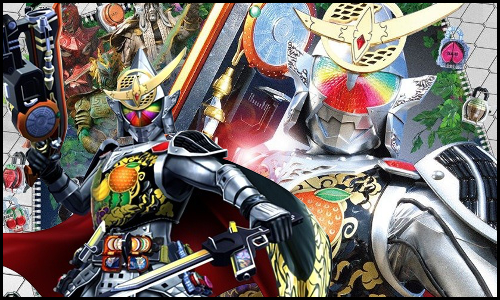 Although am curious about why he has his jacket/cape wrapped around his arm where the Seiza Blaster should be - trying to hide something? Orion Battler's a little disappointing though. Doesn't look like it even has a place for a Kyutama to dock, so it doesn't quite feel like it fits in with the rest of the mecha. The right arm is a port for a Kyutama. It's probably for the Orion Kyutama The Orion Kyutama summons the mecha. Haha thanks. Kept staring and staring but completely did not see that. Probably because it fits in pretty well instead of sticking out heh (and thought the 3 scans posted here were the only ones; didn't check the front page for more). 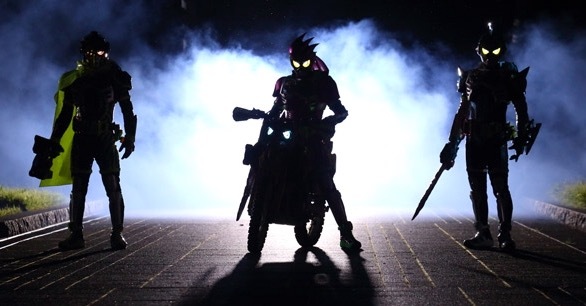 Kyuranger is just all about the "evil" rangers, isn't it? Stringer was the fake evil (and being an idiot tempted by evil) trope, Naga was the brainwashing trope, and now Champ is getting the evil clone trope. This is getting bland quickly. My theory about the evil Champ. It's actually Champ. 300 years is a long time. I'm betting Don Armage found him at some point and repurposed him. Hence why Dr. Anton made the Good Champ.